For its part, Natura is Brazil's top business in cosmetics, perfumes and toiletries. It sells products in seven Latin American countries as well as in France. 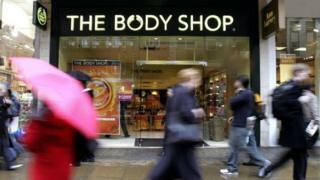 Echoing the ethical stance of The Body Shop, Natura says its aim is to "improve the environment and society". The proposed deal with L'Oreal was first unveiled earlier this month. At the time, the L'Oreal chairman and chief executive, Jean-Paul Agon said Natura was "the best new owner we could imagine to nurture the brand DNA around naturality and ethics". The deal still needs to be approved by the Brazilian and US regulatory authorities. Analysis: Daniel Gallas, BBC South America business correspondent. Selling cosmetics in Brazil is a tough business: the country is huge, consumers are demanding and often live in very remote areas, and competition is cut-throat. But it pays off, as it makes up the fourth largest cosmetics market in the world. Natura is the local leader but now it wants to become global. In 2013 it started to branch out, when it bought the Australian group Aesop. Now with the acquisition of The Body Shop, Natura will try to test its local expertise at a global level. Can it compete in a market with the likes of P&G, L'Oreal, Unilever and Avon outside its home turf?